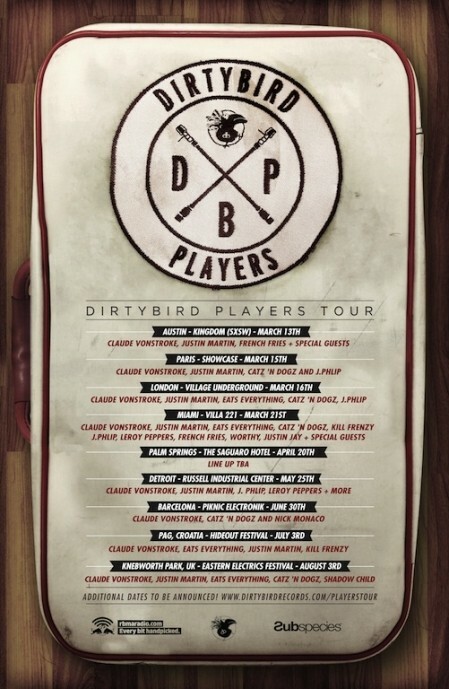 Led by label-founder Claude VonStroke, the dirtybird Players forthcoming global tour will include stops at Coachella, SxSW, Movement Detroit, Miami Music Week, Piknick Elektronik and London, all paving the way for the label’s first ever Ibiza residency this summer at Sankeys. Coinciding with this will be the dirtybird Players compilation, a perfect pairing to those who prefer BBQ and booty bass as the soundtrack for their afternoon lawn parties. 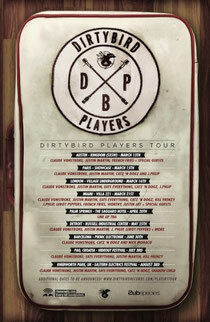 The dirtybird Players are comprised of dirtybird’s residents, Justin Martin, Eats Everything, J Phlip, Leroy Peppers, Catz + Dogz, Shadow Child, Kill Frenzy, Worthy, Justin Jay and more, all of whom feature on the new Players compilation. dirtybird was birthed 11 years ago when the original four dirtybird members, Christian Martin, Claude VonStroke, Justin Martin and Worthy, came together on a personal mission to change the landscape of San Francisco house music. They began throwing renegade parties in Golden Gate Park based on their unique, signature sound; booty-groovin’ house music, heavy on the bass and full of fun. Three years later, Claude VonStroke started the dirtybird label, and the dirtybird mandate was sealed. Your style is very unique in comparison to other people I've read stuff from. Thanks for posting when you have the opportunity, Guess I'll just book mark this page. It's really a cool and helpful piece of info. I am satisfied that you just shared this useful info with us. Please stay us informed like this. Thank you for sharing.